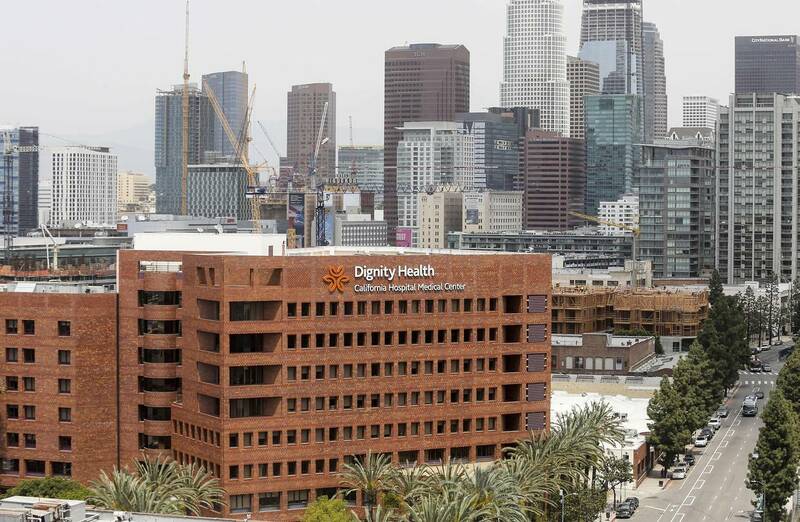 Hospital operator Catholic Health Initiatives, which has struggled after rapid expansion and a foray into health insurance, is in merger talks with Dignity Health to create one of the nation’s largest nonprofit hospital systems by revenue. Catholic Health Initiatives and Dignity Health said in a statement they are in talks regarding “aligning their organizations.” A person familiar with the matter said the talks involve a merger. The deal would combine 103 hospitals owned by Catholic Health Initiatives, based in Englewood, Colo., with 39 hospitals operated by San Francisco-based Dignity Health. Combined revenue for the new organization would reach $27.8 billion annually, based on the most recent financial statements. The proposed union is the latest megamerger among U.S. hospital operators, both nonprofit and publicly traded. It comes as antitrust regulators have stepped up their scrutiny of such deals. Catholic Health Initiatives operates in 18 states, but not in Arizona, California and Nevada, where Dignity Health operates its hospitals. “The potential to align the strengths of these two organizations will allow us to play a far more significant role in transforming health care in this country,” Catholic Health Initiatives Chief Executive Officer Kevin Lofton said in the joint statement announcing the talks, which were reported earlier by trade magazine Modern Healthcare. Catholic Health Initiatives has faltered in recent years with weak or negative operating margins after a push into health insurance stalled and hospital operations struggled after a string of acquisitions. For the last fiscal year, which ended June 30, 2015, Catholic Health Initiatives reported a slim margin, with $3.1 million in operating income on revenue of $15.2 billion. That is after the prior year’s operating loss of $109.4 million on revenue of $13.6 billion. Since April, all three major ratings firms downgraded Catholic Health Initiatives, which had $9 billion in debt as of March 31. Combined, the two nonprofits would operate a diverse set of hospital and outpatient businesses. Catholic Health Initiatives has said previously it was considering selling some or all of its insurance business. Catholic Health Initiatives expanded its reach in home-health services through a $43 million acquisition in 2010. Dignity Health is a major outpatient care operator after the $455 million acquisition of U.S. HealthWorks in 2012, a national occupational medicine and urgent-care company. Dignity Health also operates a joint venture with private-equity backed GoHealth Urgent Care to develop outpatient care centers.